Let Your Purchase Be Crystal Clear! Sometimes when you meet the right people opportunities arise that enable your business to move in a direction quicker than you anticipated! George and I met Ian Shaw, an experienced financial consultant and we got on even before he explained the full capacity and opportunities his business offered. 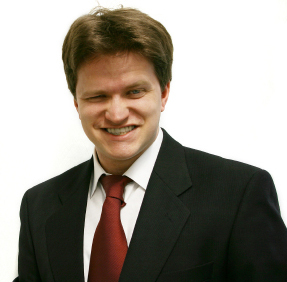 Ian has the ability to independently search over 5000 mortgage products for potential clients, many of which, due to his companies partnership with Legal and General are unique to their company. Crystal Clear Financial Planning can meet our customers and those we introduce, at our clients convenience, whatever the time or location. 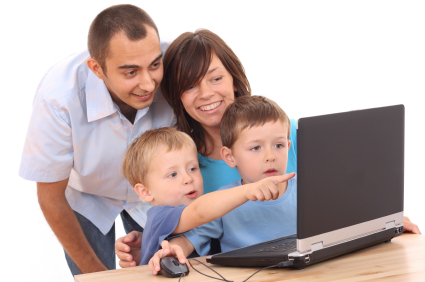 The research and proposal of a suitable mortgage for our clients will cost nothing. 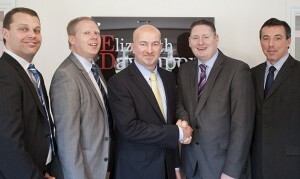 Ian, together with Graeme Lewis and the director Darren Burdis all follow our companies “Client and Customer First” ethos. Buying a house is not about us and it’s not about them. 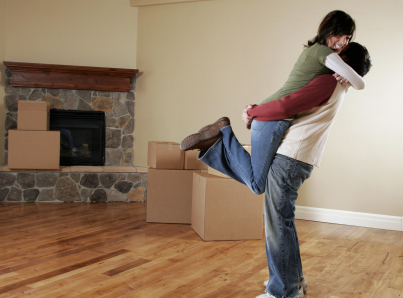 Buying a house is about the customer and selling a house is about our client. We don’t want to push a mortgage in front of our customers. We are Estate Agents (I tried to think of another title but I suppose I can’t completely reinvent the wheel!) and we have no interest in which mortgage product you choose. We simply want what is best for you. 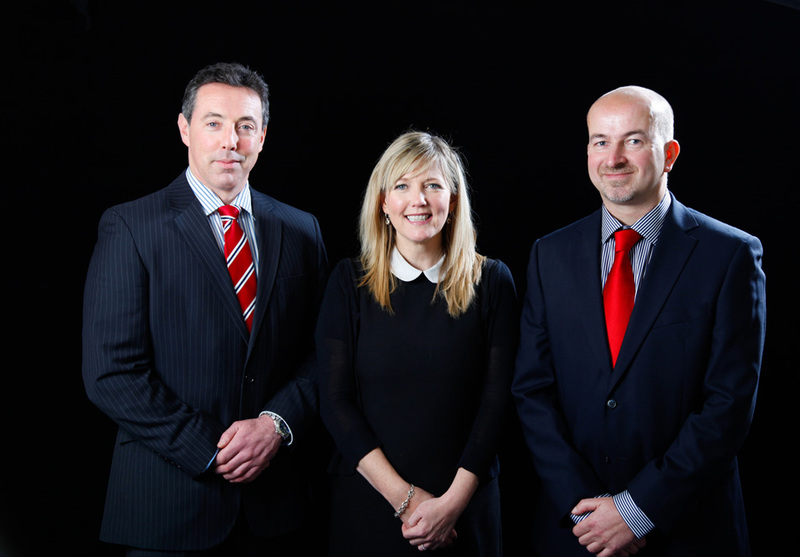 The way to do that is to offer you the ability to discuss financial matters with a truly independent expert who can listen, advise and satisfy your needs. Don’t Get Bored! Get Boards! A common discussion with absolutely no rights or wrongs is the value of a “For Sale” or “To Let Board” at your home. “To Let” Boards are more straightforward as the emotional factor of telling your neighbours and the passing public that your house or a house you own is “available” is far less relevant. The percentage of owner occupiers renting there own home is obviously less than the number of investment properties on the market. The issue regarding security though may still be a relevant one. If the property you own is empty then does a board signal “Empty! Easy Opportunity”. Well, Ne’er-do-wells don’t burgle empty houses. So a Board does not a burglary make. These security issues are the most common negatives that a seller or buyer will concerned about, and quite fairly too. The positives though can of course can be great. Desirable areas will lead potential buyers to drive around and research where they hope to live. If there is no “For Sale” board then they may not see your house. No matter how impressive the brochures and web details, no one should buy a home without seeing it in the light of day. A “For Sale” Board isn’t just helpful for the seller of course. It’s an immensely powerful marketing tool for the Estate Agent too. If your agents For Sale boards are faded, in bad repair or remain fallen down or broken, what does this say about them as well? Viewings! To do or Not to do! That is the Question! Some clients this week have raised the issue that previous Estate Agents did not undertake their own viewings and instead relied on the owners to perform them instead. On paper this opinion looks a fair one. Certainly when Estate Agents fee’s are as considerable as they are, the Agent should be doing everything possible to sell there Vendors home’s as effectively. There is no hard and fast rule in this regard though. I had a chat with my Mum about this as well and although they have always used Estate Agents to sell their houses, Mum always undertook her own viewings by choice (I’d like to state they haven’t moved since I have been in the business but watch this space!). Not only did she do this but my parents homes always sold very quickly. You see sometimes, but not always, the owner can make an impression that the Estate Agent cannot. The Estate Agent can present in the third person how a family “could” feel in a house or what fun “could” be enjoyed in such a lovely home where the owner, if confident and willing, can present a “do feel” and “do enjoy” sensibility. This, allied with the fact that the applicant may well have viewed countless other houses by Estate Agents who simply opened a door and let you look, would present a much more attractive proposition to them. So the answer here is that if the seller is confident, comfortable and able, they can do as good a job if not a better one than even a good Estate Agent. If they are not, then the viewing representative employed by the Estate Agent must be knowledgeable, courteous, understanding and as good a listener as possible. This is how relationships develop and when your first meeting with an Estate Agent is through a viewing appointment, the Estate Agent is certainly responsible for making it a positive one. If You’re Going To Pay, Then Get What You Pay For! A potential Client dropped into our Office yesterday and we had a pleasant chat. As a home owner and developer he certainly knew the trials and tribulations of the industry and offered an interesting perspective on the services many Estate Agents provide in the City. He was frank which made the conversation easy. The subject of Estate Agent Fee’s and the justification of them was his main area of concern. He expressed no loyalty to any Estate Agent in particular. As the service levels fluctuated so wildly and the fees they charged, even for below stamp duty properties, were often excessive, he kept trying new agents. I explained, clearly I hope, how every business has a point which they cannot reduce fees or services below and the question to ask is not “How Much Do You Charge?” but “What Do I Get for My Fee’s”. It was certainly obvious to my guest that “Service” was his issue, not just “Fee”. I showed him an array of sold properties, in our office and also the fees we charged. I showed him the brochures and floor plans that we invest in for each property, I discussed the way we undertake feedback whilst the viewings are taking place and he made it obvious that the fees we charged were way below the image we portray. “I’ll be certain to tell my family and friends”, he stated, “We just presumed you’d be a lot more expensive”. What we offer is the very best presentation and sale of your home at a price that others may charge for a nonchalant service. When instructing an agent, ask not “What Price?” but “What Do I Get for The Price I Pay?”. We’d be delighted to show you and think you’ll be pleasantly surprised! “listening” more than “talking”. Twice, potential sellers have been let down from securing there ideal home because they are not yet on the market. Twice, despite polite advice, have two vendors expressed there disappointment that the home they wanted to buy has been sold to proceed able purchasers. At the valuation stage of my job and having explained and offered examples of why this scenario was likely to occur the client presumably thought “He would say that, he wants to sell my house!”. I think the mistake we see here is that of “generalization”. The reality in retail, whether it be an Estate Agent selling a house, a Sales Advisor selling a Car or my Father selling Bedroom Furniture, is that the “seller” must overcome the customers preconception that all they want to do is “Sell!”. The “seller”, in this instance the seller of a service, must be aware that the customer (vendor) does not initially trust their intentions. Sometimes this is clearly valid. 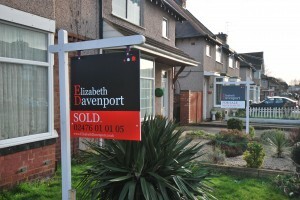 Many Estate Agents have targets to meet and bonus’s to earn whether they sell a house or not. At Elizabeth Davenport we do not earn individual commissions, we are not driven to achieve a high level of instructions to please the “management” or achieve a “target”. The only way we can earn is by selling our clients properties. The advise we give is genuine advice but on rare occasions it only reveals itself as truthful when what could happen, unfortunately does happen. So yourself and your partner, husband, wife, goldfish or dog think it’s time for a change of scenery. You’ve outgrown your apartment. Your children’s feet are touching the wall in the box room. The neighbours heated debates have graduated to a verbose equivalent of guerilla warfare! Whatever the reason, the decision is made and it’s time to place a value on your property. This value or appraisal could determine, in part, the choices of new home available to you. If the information you receive is misleading in the extreme and your home is overpriced then your property could remain unsold for a considerable time. You have to watch, powerless, as the Smiths move into what, by rights should be your dream home. If the information you receive is misleading and your home is under valued then it could be sold for less than it’s true worth and your dream home could be just another stop gap. If it’s priced correctly and you understand the way your home has been valued then you will have a fast or steady flow of viewings and your property will sell for the asking price, very close to it, or as in the case of a recent example , slightly higher. We offer you our opinion based upon facts (there’s a multitude of denominators here connected to your home, area, market conditions e.t.c) and will back these up. 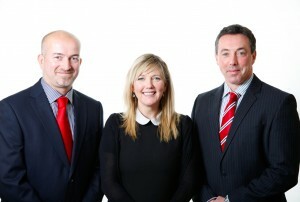 To prove how effectively we can work for you let us show you why we sell houses, on average, faster than any other agent in Coventry, Kenilworth and the surrounding villages We don’t employ “Listers“, as “Valuers” are referred to by many Estate Agents. We don’t want to List your home. We want to sell it. Add an extension? Refit the Kitchen? Convert the attic, or perhaps landscape the garden? All of the above are of course are very good ways to add value to your property. However they all take a lot of time and planning and require an up-front significant expenditure or outlay. Today I am going to reveal a way to instantly add value to your home without spending a penny or lifting a finger. “Impossible!” I hear you retort. But it’s not impossible. In fact it’s very easy and very simple. It’s a statisitical fact that when you put your property on sale, the more hits your property gets online, the more people will call the agent up and request a viewing. And it’s basic economics that the more buyers that come and view your property the higher the demand and the higher the selling price. So when you come to sell you need an agent that will get you the most online hits and the most viewing requests. 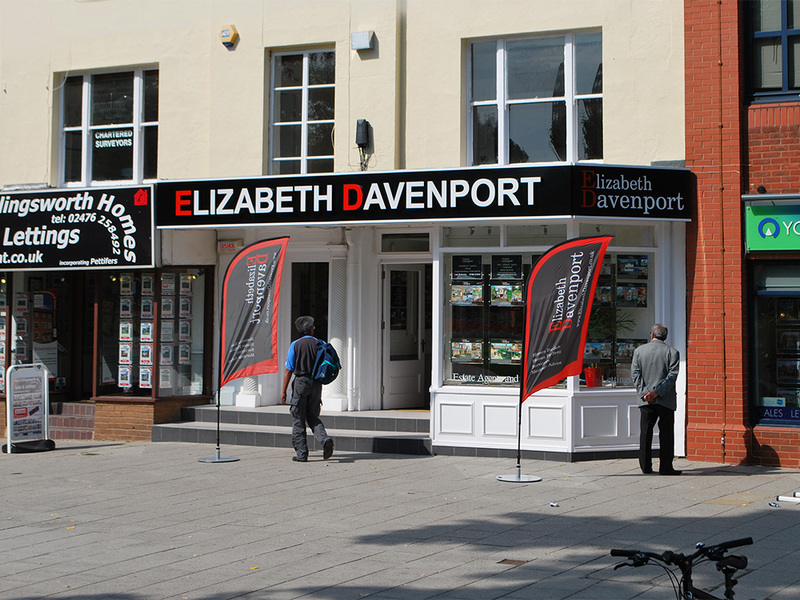 According to rightmove statistics Elizabeth Davenport are regularly top of the tree for hits on our properties. 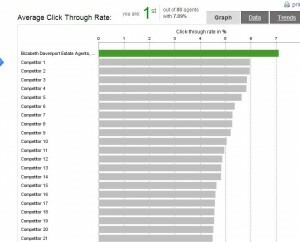 Our properties consistently get the highest “click-through rate”. This translates into a higher number of viewings for each property and therefore a higher selling price. In fact many of our properties sell for the full asking price because they are in such high demand. So to add instant value to your property, give us a call today and request your free valuation. The New Year has already been a record breaking one and 2014 is set to be a very healthy year for the property market in Coventry and the surrounding areas. 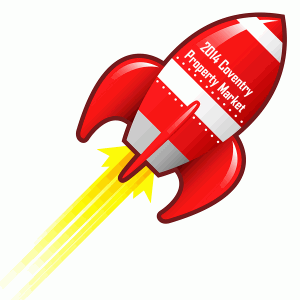 We are seeing lots of new properties come to market and have buyers queueing up for them in their droves. One new property that came to market in the last week at our branch had an offer of the full asking price within 24 hours. This was before the buyers had even visited the property! The much increased availability of finance is the driving factor with much smaller deposits now required from many of the big lenders. This means that first time buyers have returned to the market place in large numbers and it’s these guys that prop up the housing market. So if you’re considering making the move this year, call our office on 02476 010105 and arrange for a free, no obligation valuation and appraisal of your home. According to Rightmove statistics we are the fastest selling agent in the Coventry area so pick up the phone today and get moving. Smoking Guns & Listening To Only What You Want To Hear! 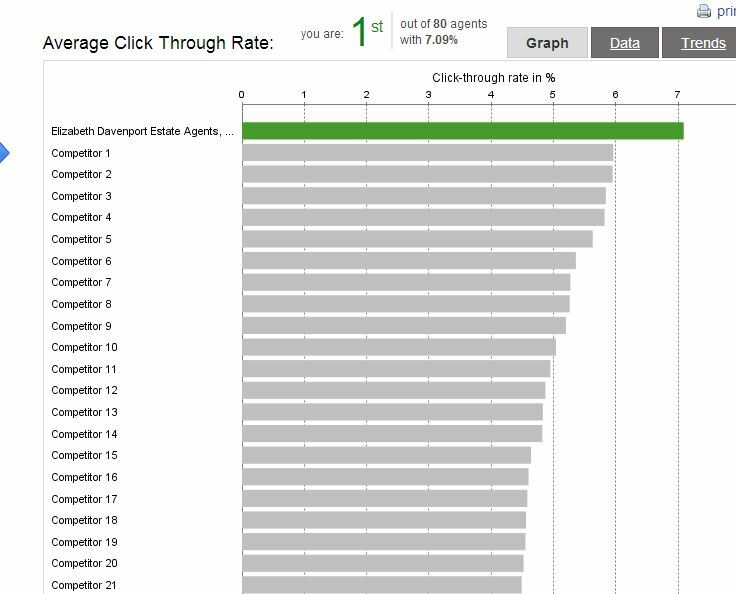 Again our speed of sale has put us in the number 1 spot in Coventry with a current average of just 7 weeks from promotion to sale! After agreeing a sale on a large four bedroom Semi Detached house on Baginton Road, the owner, already very happy with the volume of offers received, was understandably delighted. This led me to value another property on Baginton Road and in doing so my research drew me to review asking prices and actual sale prices in the surrounding areas as well. Armorial Road, where a recent sale of ours became one of the highest sold on the road in many years provided the Smoking Gun I needed. Since 2010 there have been 8 sales on the road with a mean average price of almost £375,000. In the same period the mean average asking price has been £420,000. At present there are properties for sale for £475,000 and £465,000. Not since October 2006 has a house sold on the road for over £450,000 and in the last three years sales have ranged between £280,000 and £440,000. The property we sold had been on the market with other agents for over 6 months at an asking price that was nowhere near correct. It was poorly marketed and overpriced. That is why it didn’t sell. The asking price was simply too high. 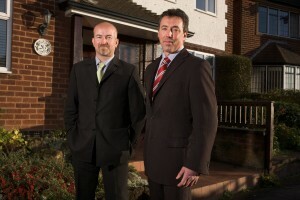 As purchasers you have the same access to property records on www.landregistry.gov.uk , www.rightmove.co.uk and www.nethouseprices.com as we do. Possibly more importantly, so do mortgage lenders! So when an agents wow’s you with a price that is above your expectations do a little research yourself too. You’d be amazed how may agents have a punt figure just to make you say yes. You’d also be amazed how many agents can earn commission’s without even selling your house and just listing them. It’s a bad trait and one that gives the industry a poor reputation. It will also lead to your house sitting on the market without interest whilst others may sell around you. Our website www.elizabethdavenport.co.uk carries google + reviews and www.allagents.co.uk also features really positive feedback form our venders and purchasers. We’d be delighted if you have the time to read a few! Monday night’s “Dispatches” program on Channel 4 revealed some real problems in the Estate Agency industry, especially in regard to corporate and large chains of Estate Agents. These practices occurred in environments where agents were pressurised by the company they worked for to achieve high sales targets and where commission based wages were in place. This is the typical set-up at corporate and large chain Estate Agencies. So don’t get caught out. If you want the best sales service or the best buying experience then give us a call today.